While you may already have suspected that brownies were not the best health food choice, you may be a little surprise (or saddened) to find out that traditional brownies are completely off limits for any low carb diet. It does make sense though, those gooey, chocolatey, sugar loaded brownies that you may love are full of carbs. 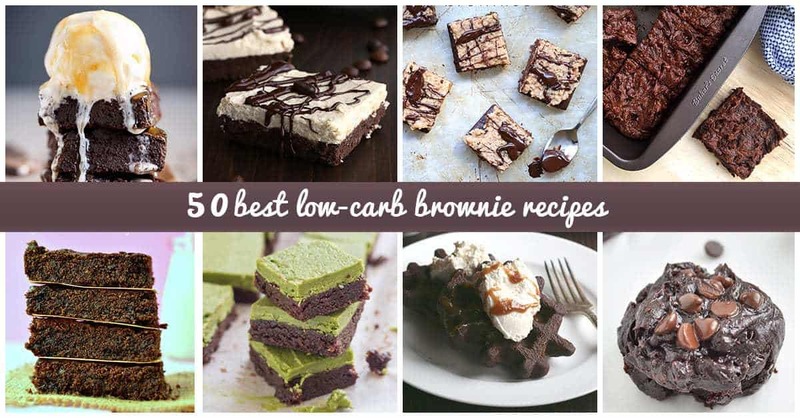 So many carbs that even a bit of a regular brownie may be detrimental to your low carb diet. But what now? What happens to the brownies when the low carb diet begins? Let’s find out! If you have made the decision to start eating a low-carb diet, the first thing we should say is congratulations! You have taken a big step towards becoming a healthier you. Low carb diets have been proven time and again to have a very big impact on your overall health. Counting carbs and sticking to a certain limit will also help you eat healthier overall. When you start reading labels, you will become more aware of what you are eating and the types of foods that go into your body. You may even want to consider a diet that is even better than just low carb. Perhaps, a keto diet plan is something you would find to be beneficial to your health. If you have gone even further than just low carb and already decided to look into a Keto diet plan, then you are up for an even more challenging diet but with even higher reward. As you will see, a keto diet goes far beyond low carb and is certainly a lifestyle change for anyone. Before beginning a full keto diet plan, you should be sure that you fully understand the guidelines and structure of the diet so that you are sure you are ready for such a commitment. Learning about what you can and cannot eat is important but it is also beneficial to understand the “why” behind it all. Why are you eating a certain way and how does your body react and change when a keto diet begins? You should definitely find out! So keep reading…. In case you don’t fully know about the Keto diet yet or are a little confused about how it works, here is a quick explanation and description that will help you get a grasp on this diet option. To begin, a keto diet eliminates practically all carbs from your diet. The idea behind this is that when you reduce the levels of carbs in your body to a healthier level, you will cease burning carbs for energy and start burning fat. If you did not already know, your body typically uses carbs as it’s primary source of energy and burns carbs when it needs fuel. This is why eating a cookie in the middle of the day will energize you- that cookie gave your body a whole bunch of carbs to use as an energy source. However, when your body has plenty of carbs to use as quick energy sources, it won’t be burning any fat. If you are dieting to lose weight, get trim or just to maintain your health, you may not want your body to be using carbs as energy- you want to be burning unwanted fat! So, if you eliminate carbs from your diet, what will your body turn to for energy? Stored fat, of course! Fat is the second best energy source for your body so, when the carbs aren’t there, the fat will be what your body uses next! However, your body won’t be able to just burn all the excess fat you have on you, it also needs fat as fuel from the foods that you eat. That’s why it’s important to increase your fat intake when switching to low-carb or no carb foods. Your body still needs to get extra energy from somewhere and if it isn’t getting any carbs to use as energy, it needs fat. More fat than is readily available in your body. So that means go grab that steak you’ve been craving the the crispy, fatty edge and buy that extra pound of butter at the store because fat is okay on the keto diet. All of this makes sense, right? Lowering and eliminating your carb intake will translate to your body burning fat. Seems simple enough and that is why so many people are giving the Keto diet a try- it is logical and it has been proven to work! By doing a little research about the Keto, low carb diet, you are probably aware that there can be more than a few side effects from switching from high carb meals to low-carb foods. Of course, every diet has a few hiccups and flaws where your body may feel challenges. This is also a logical thing to expect as you are switching up what your body is use to consuming and digesting. Any drastic diet change will have an adverse effect before the positive results begin to show. With the keto diet, the side effect can be severe. This also makes sense, though, as cutting carbs and stocking up on fats is something your body may not be used to. Some of the side effects of the Keto diet include constipation, fatigue, headaches, irritability and a craving for sweets. While these may not be the only side effects you experience, these are some of the most common side effects that you will feel during the first few weeks of the switch over to low-carb foods. If this doesn’t sound like something you want to go through, the news gets even worse. While you may be thinking “I will be one of the lucky ones who doesn’t feel this terrible when cutting carbs”, think again. Almost everyone who starts a Keto diet experiences these same symptoms. Seriously, everyone. This is so common that people have even named the feelings that you will have at the beginning of the diet, calling it the Keto Flu. This is aptly named as it will feel like you have a bad case of the flu. While this terrible period of transition doesn’t happen to everyone, you do want to be prepared and try to curb it if possible as it is more common than not. There are a few measures you can take to try to help your body through the initial adjustment that many have said helps with preventing or subtling the effects of the keto flu. The three main things that will help you adjust to the low-carb keto diet better is if you make sure that you drink plenty of water, consume sufficient levels of salt and have enough fat to support your body. Staying hydrated is very important as your body needs sufficient water to function. This is just a simple fact that everyone should follow. By staying hydrated, you will feel more awake, have less swelling in your joints and water will help you feel more full which is important when on a new restricted diet. Drinking water also helps break up unwanted particles in your body and helps you pass them through your digestive tract. So, while you are cleansing your system of carbohydrates, water will help to flush them out! Salt is also important while on a keto diet. When you begin this strict diet, your electrolytes may become depleted due to increased water consumption and decreased water retention (the diet will cause you to flush water more quickly). It has also been found that while on a low carb high fat diet, such as keto, your kidneys will secrete sodium at a higher rate. This means ingesting extra salt is essential. If your body is low on one mineral, it will look elsewhere to get the benefits and necessities that it needs. If you are low on sodium, your body may start burning potassium and then turn to something else. This ongoing chain of using one nutrient until extinction and then the next and the the next and so on is why you feel like you have the flu when you begin a keto regimine. Your system is simply using everything it has available leaving you weak. So stop the chain before it begins and increase your salt intake. You will be happy you did! Adding more fat to your diet has already been discussed and it is extremely important especially in the first few days of your keto lifestyle. Your body will need energy and since there are no carbs going in, it needs something else. Give your body the energy it needs in the form of fats. As long as there is something for your system to use as a readily available energy source, you should be able to fight the symptoms of the keto flu. ANother important fact that is beneficial to all new diets, especially keto diet is to also should try to satisfy some of the cravings your body has as it may be signaling you to fill a need. If your body is calling out for salty foods, give it some! If you need a hearty plate of steak, make it! If you just need something sweet, well, you may have to get a bit creative since carbs are off limits. While you do, of course want to stick to the Keto diet plan, there are plenty of ways to satisfy your body’s craving for sugar. Brownies, of course, are the perfect food to do just that! Now you may be thinking, how in the world could you satisfy your desire for sweets and also stick to your keto diet? Seems contradictory but brownies are something you can have! The day is saved! 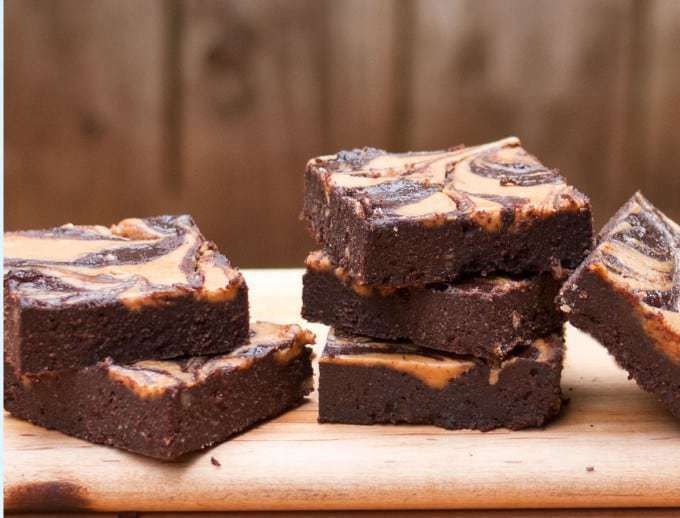 So these recipes may differ a little from what you may traditionally think of as a brownie but they are going to make your sweet tooth happy and keep your mind at ease as they are all keto friendly. 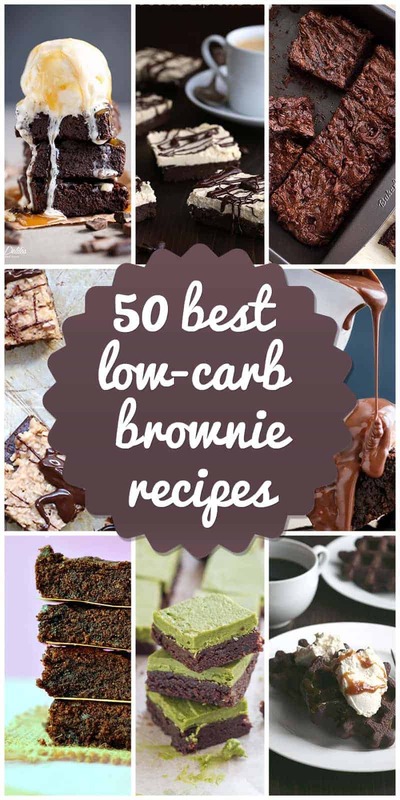 The following list contains a wide variety of low-carb brownies, to help you satisfy your sweet tooth while still staying healthy. When you are reading about these low carb, no carb brownies, you are probably a little skeptical and for good reason. 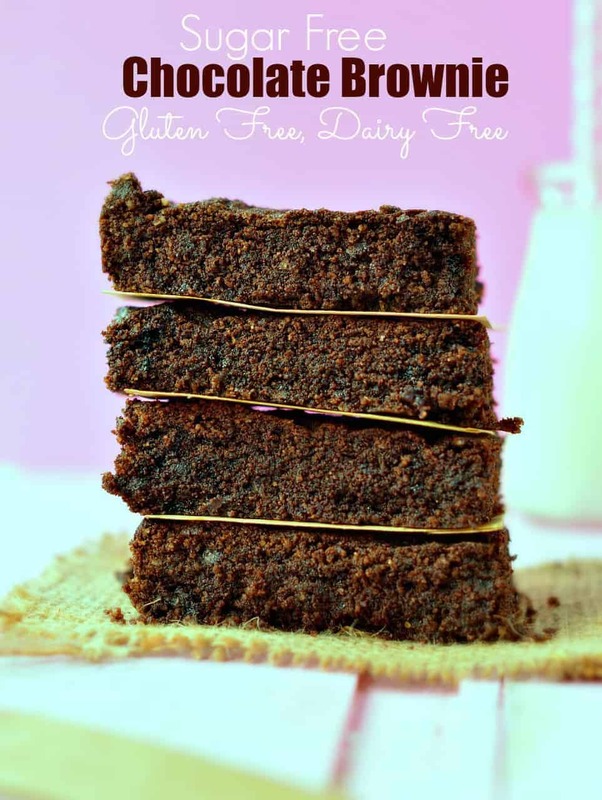 You might have heard there’s no way to get sugar-free brownies to taste good but that is definitely not true! Carb-free brownies can be the best, healthiest dessert there is when they are made properly. You really just need to find the right recipes because, yes, there are plenty of sugar free brownies out there that are not the best. However, we have eliminated those and only kept the brownies that you will actually want to eat! There are plenty of options on this list to try and many of them actually taste even better than traditional brownies. You’ll have to make them to believe it! So what exactly goes into a Keto friendly brownie? How can a brownie even be sugar free or healthy? There are plenty of ways! The first involves using just dark chocolates that are sugar free or cocoa powder which also contains to sugars. When you use these two options, you will be locking in the chocolate taste that a brownie has to have with none of the extra sugars that are typically added to chocolate. The sweeteners are the next key to these recipes. No carb sweeteners like stevia or erythritol are perfect for recipes like this. They are both natural and very sweet without adding any calories or carbs. These sweeteners brighten up that unsweetened chocolate and make your healthy brownies simply irresistible. We told you there was a way to make brownies sweet without breaking your diet! Many of these recipes also contain bonus healthy ingredients that you may not typically find in a brownie. Things like black beans are a perfect addition to brownies (we swear!) and you will never even taste them. All you will taste is delicious, chocolatey brownie goodness while you will be getting a bonus does of healthy bean protein. 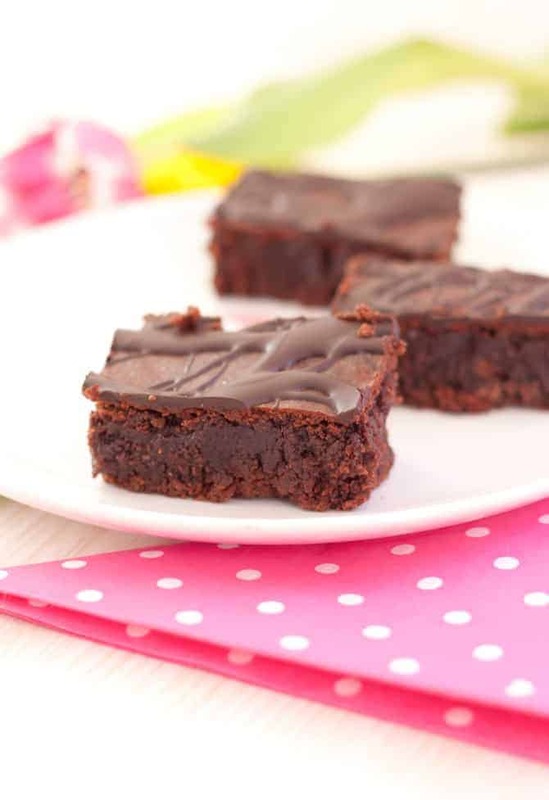 Coconut oil makes an appearance in many of these healthy brownie recipes which is a very beneficial fat. As you know, fat is important when on a keto diet and coconut oil is one of the healthiest ones out there! Using coconut oil in brownies also adds a nice, subtle, complimentary tropical taste that you will absolutely love. You can see how these keto brownies are shaping up to be better than the original brownies! Low carb, Keto diets are effective, popular and also can be composed of so many tasty foods that you should definitely give them a try. While there are many restrictions on the Keto diet, it really isn’t as difficult as you may think. 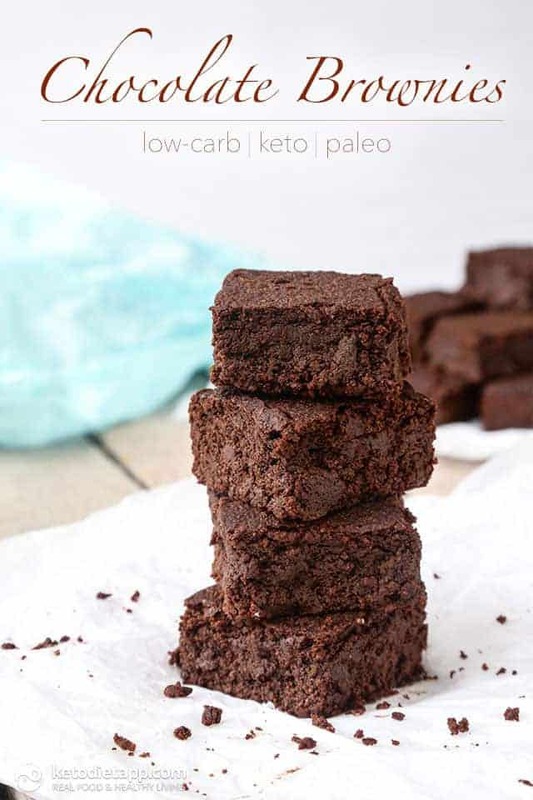 Even if you aren’t quite ready for that full Keto commitment, just give these low carb brownies a shot- they are a great way to eat healthy while still getting to have dessert! 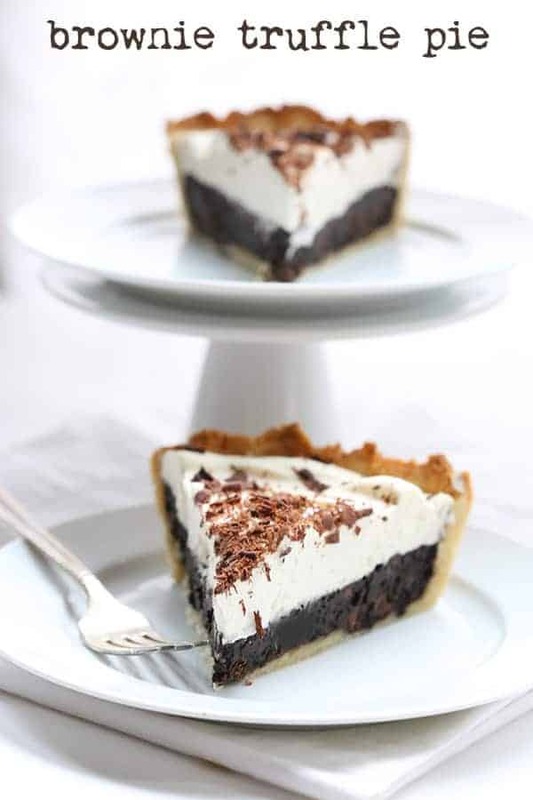 If you ever decided to go with a Keto diet or just a basic low carb one, you will already have tons of great dessert recipes on hand! Make sure to have a copy of the recipe ready if you ever make these brownies for friends as they are going to want it for sure! While you may think that zucchini sounds disgusting, the truth is that these low carb treats are friendly to both your weight and your palate. This veggie is versatile in both texture and since it has such a neutral taste. Although they are low in carbs, they are certainly not low in flavor. 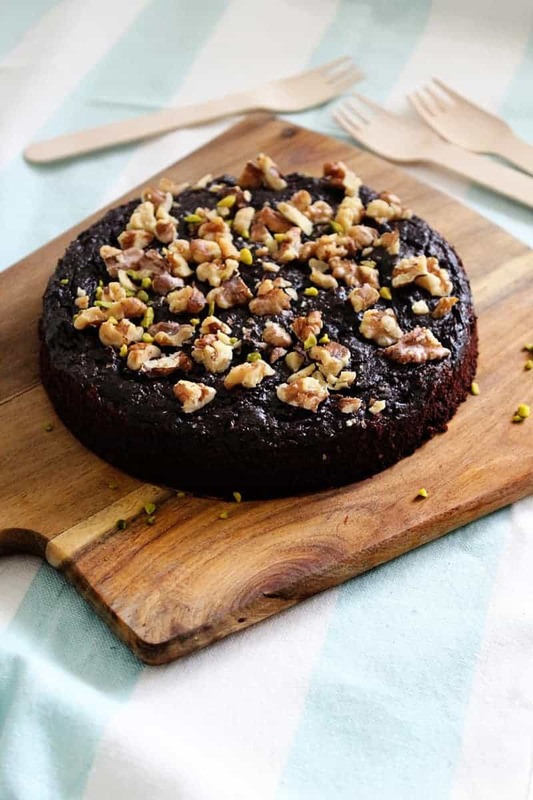 In fact, the zucchini adds a pleasant smooth sensation and creates a unique, delicious taste when blended with the chocolate in the recipe. Even your kids will clamor for these treats, so it’s a great way to sneak vegetables into their diet as well as yours! 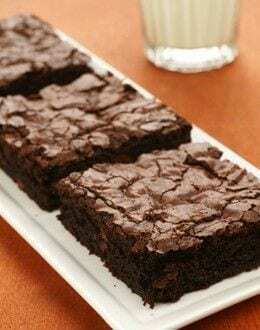 These moist, delicious brownies are sure to become a hit in your home and with your friends. Believe me, if you give these away to others, they won’t even know that they are low carb and will beg for the recipe. The amazing blend of cocoa, nuts and seed butter creates a never to be forgotten experience for your taste buds. If you felt you had to, you could probably eat the whole pan without gaining a single pound. Low carb and healthy brownies for the win! 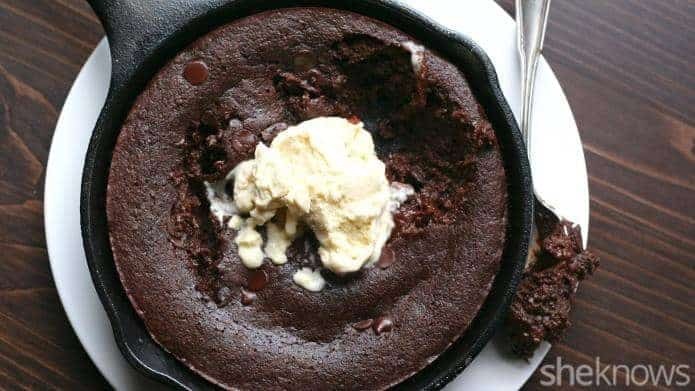 If you’re the type of person who wants to eat healthy, have delicious snacks that don’t blow out your waistband and to be able to make tasty treats that you can both cook and enjoy before you leave for work in the morning, you’ve got to check out this skillet brownie. Surprisingly, it will check all the boxes on your list! The primary ingredients (cocoa, almond butter and avocado oil) blend together for a unique taste experience. This tasty little treat takes under twenty minutes to bake and is large enough for you and your significant other to share (if you must…). This nut-free low-carb brownie is the perfect treat for those families with nut allergies or whose children are not allowed to bring nuts into school. 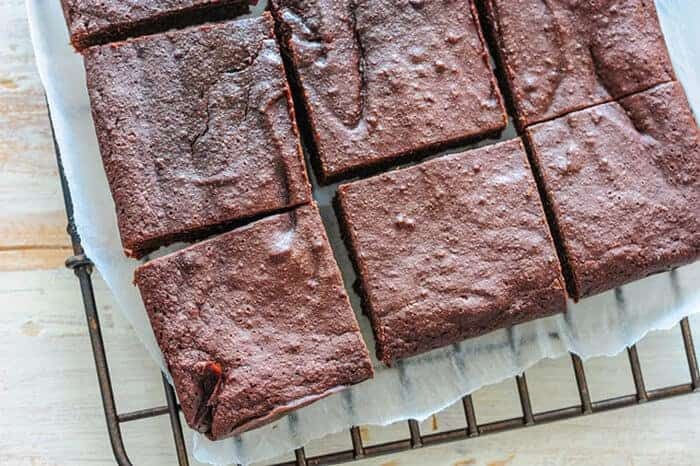 There is no added sugar, no coconut and no gluten in this low-carb brownie recipe, making it a winner in a majority of homes. 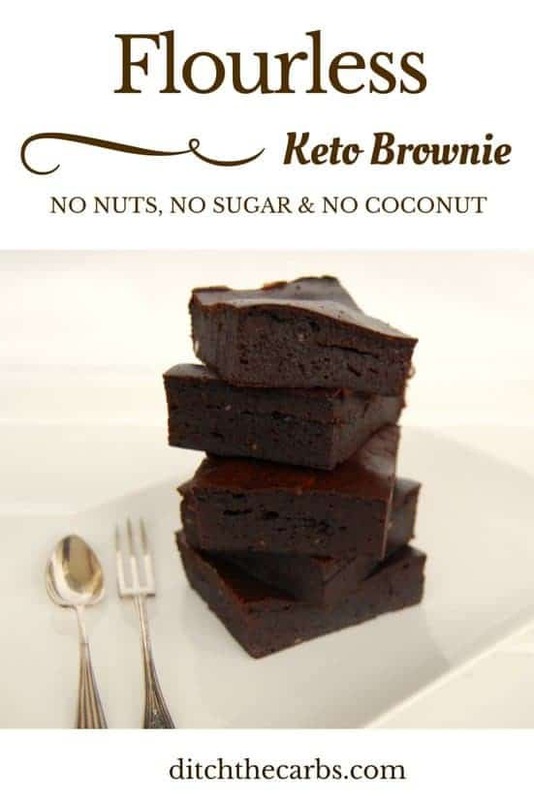 The extra no coconut point is kyt as so many healthy brownie recipes contain coconut oil which many people cannot have. And best of all, they are terribly easy to make, requiring just a stick blender. Even your kids can make these snacks! Another perk to these brownies is that they don’t need flour, which dramatically reduces cooking time. It’s no wonder that they are wildly popular! 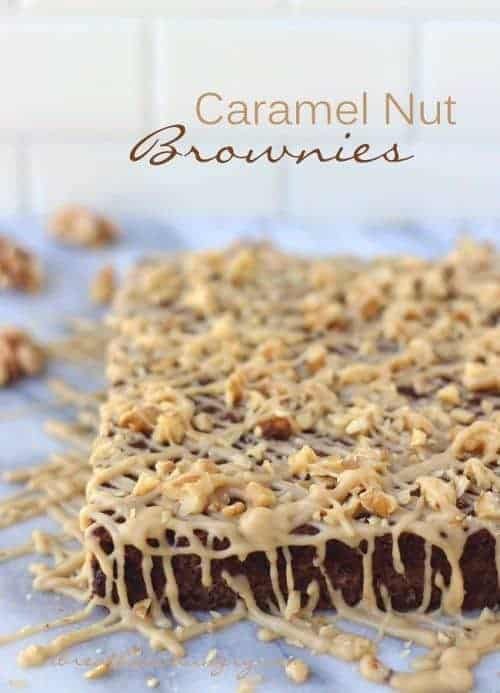 If you are looking for a low-carb brownie treat that doesn’t require rare ingredients, such as erythritol or Brown Sugar Twin, you should definitely consider these brownies. They are very simple—basically just cocoa powder, butter, flour and the sweetener of your choice. 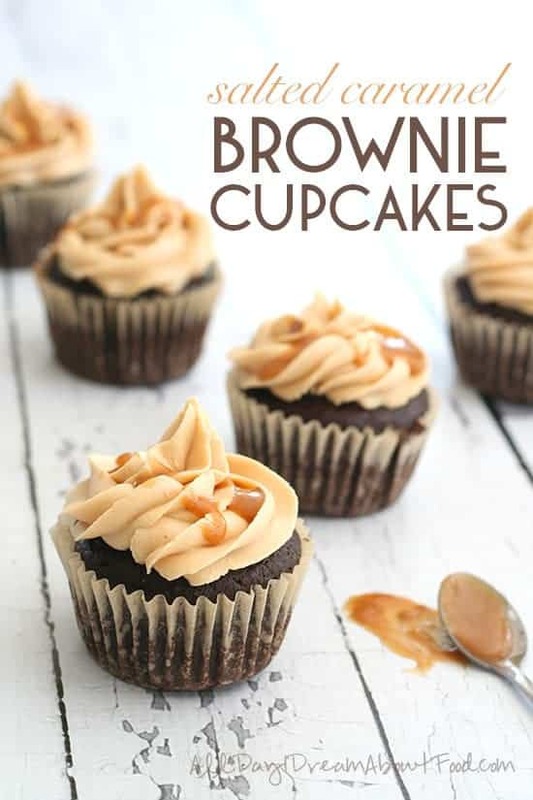 An easy to make cream cheese frosting is optional but it will raise the number of carbs slightly, however it will also greatly enhance the flavor of the brownies. Some people prefer these brownies warm rather than cold, so you will need to try both ways to see what you like. Maybe you are craving cheesecake since your transition from a high carb diet to a low carb diet- many people do! These low-carb brownies are a great way to satisfy your cravings while still sticking to low carb. The butter, monk fruit extract and almond flour blend together to create a delicious, unforgettable taste. 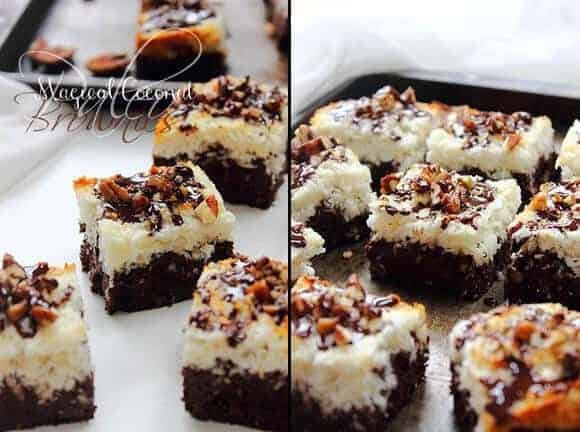 If you can’t keep yourself away from sweets, you can indulge in these cheesecake brownies without feeling guilty. 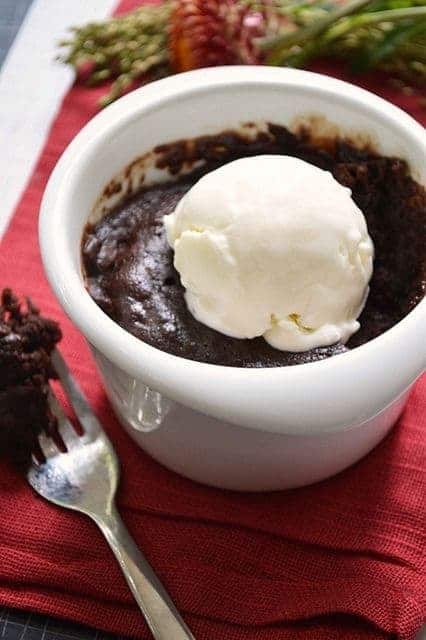 While this is not strictly a low-carb brownie, the chocolate mug cake is loved by many who have a hankering for brownies after getting onto a low-carb diet. And it’s so simple to make! All you need to do is mix up the cocoa powder with the other ingredients in a mug and microwave it for a total of three minutes. 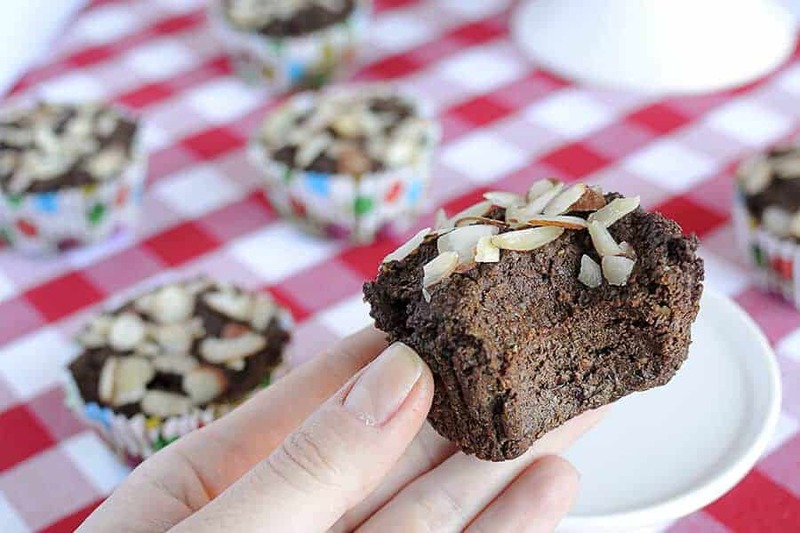 You can eat it right out of the cup, making it the perfect “brownie” for those always on the go. Amazingly flavorful, low carb, chocolate brownie in three minutes is something you need to try right now! 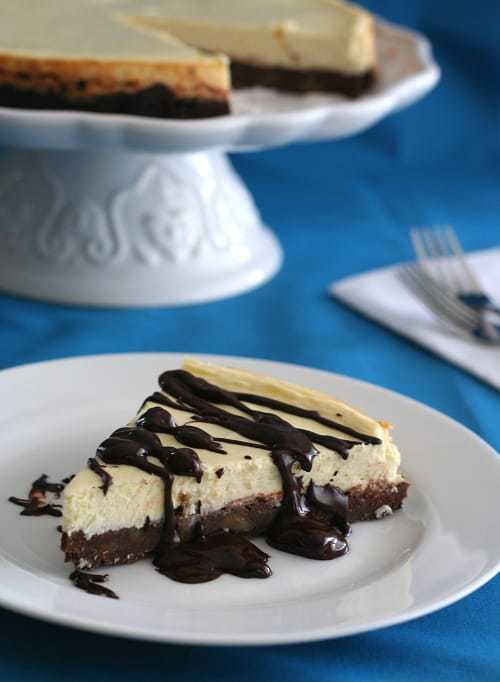 This delicious treat combines a vanilla cheesecake with a brownie creating a delicious eating experience. This recipe calls for Kerrygold Butter, a delicious butter that comes from grass-fed cows and is imported from Ireland. It is considered by many to be among the best butter in the world, so you’ll be in for a total treat. It is well worth the extra price! These quick low-carb brownies don’t have many ingredients, so whipping the recipe together is a breeze. 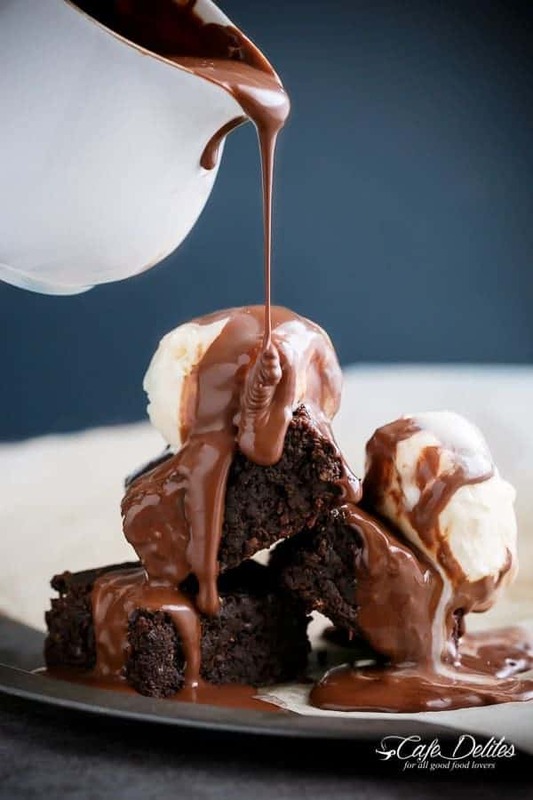 All you’ll need to do is mix chocolate, the sweetener of your choice, egg yolks, cocoa and vanilla together, put them on the pan, and cook it for 50 minutes. Brownies will be in your hand in no time! If you are an active person trying to lose weight, you probably appreciate protein bars that aren’t only protein in name and are really full of carbs. These brownies are the perfect match for the active person who likes a delicious boost of protein while working out. 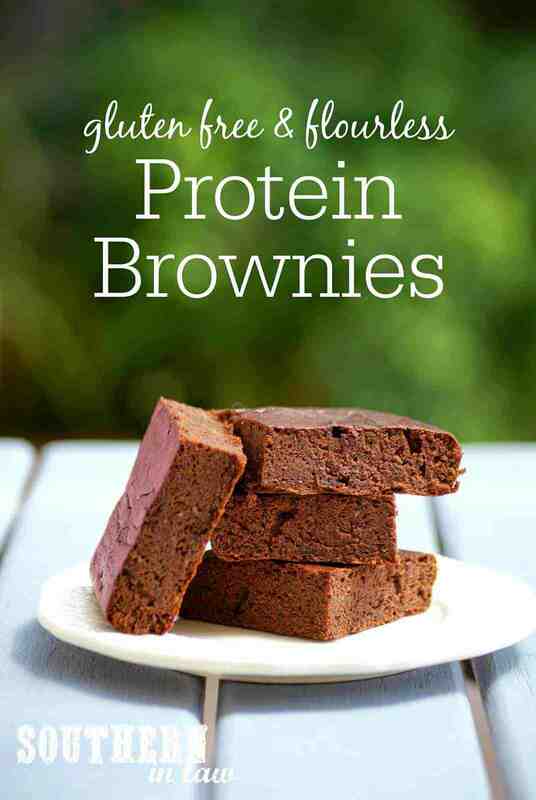 These brownies are protein packed with 11 grams of protein per brownie- amazing!! 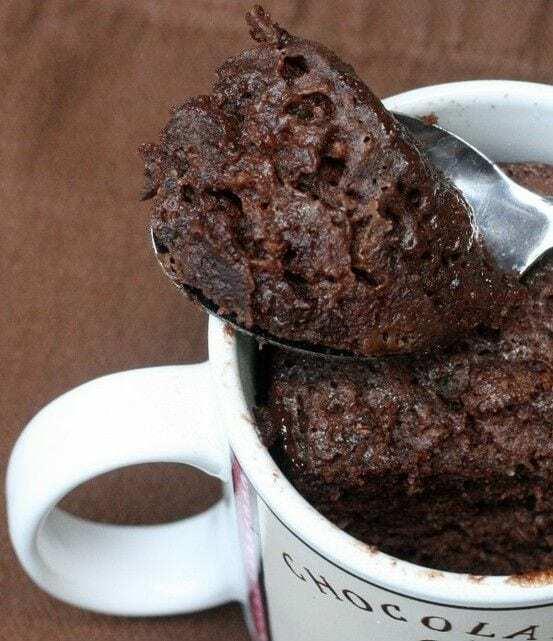 Here’s a quick, easy to make brownie mug cake, quick enough to whip together before you go to work in the morning and portable enough to easily take in the car. Why not have brownie for breakfast?? It is low carb! One of the great things about a mug cake is that you don’t have to commit yourself to taking care of an entire pan of food. 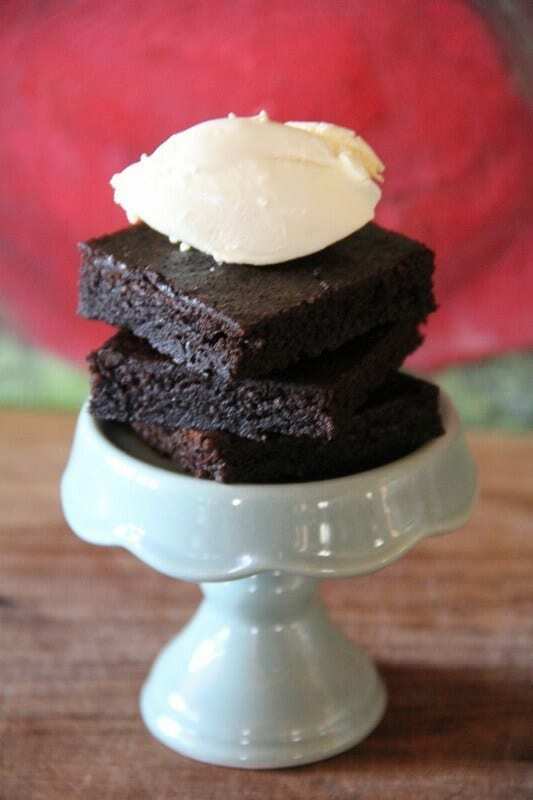 This brownie is soothing on the stomach and tastes great if you add whipped cream or vanilla ice cream on top. These flourless brownies are surprisingly delicious and quick to make. 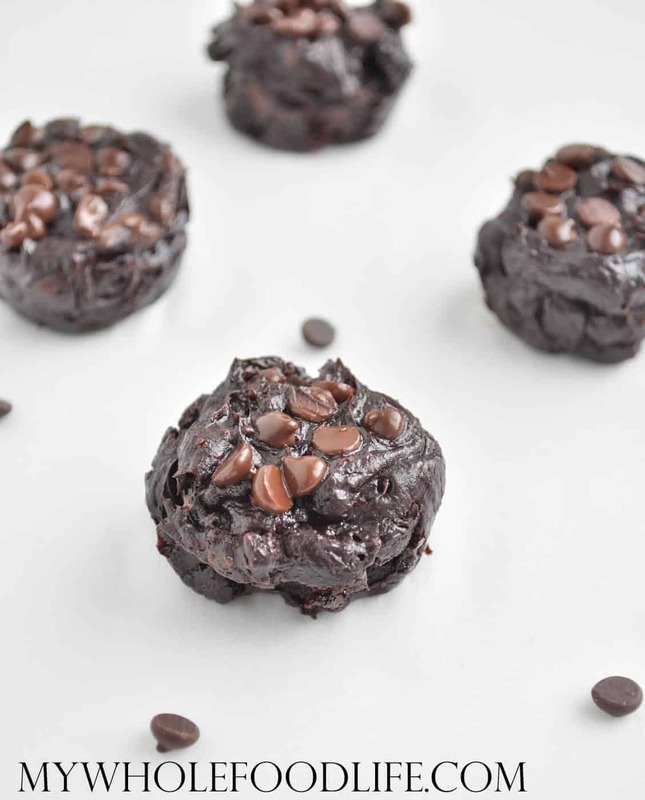 And if you use vegan chocolate chips, they are totally vegan, making them perfect for everyone in the family. These flourless brownies are made of almond and avocado and have a chewy inside and a crisp outside. This unique blend has a surprising taste that will make these one of your new favorite desserts. 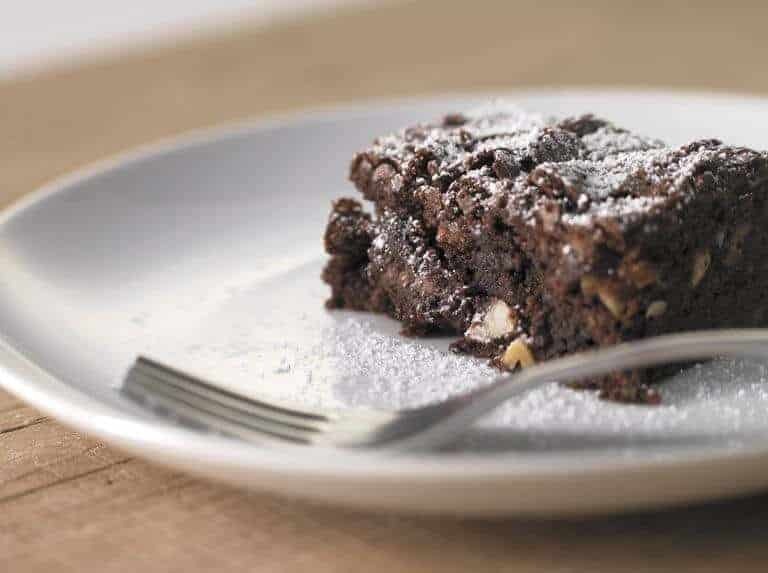 Cooking time is just 30 minutes, making these brownies perfect for a quick treat after dinner. These low-carb brownies are excellent for eating right before you leave for work. The butter used in this recipe is premium quality and contains a higher amount of butter fat per ounce than the competition. This means a creamier, more flavorful brownie. It also has a better taste and consistency than other butters. Believe me, these brownies form the perfect union between milk and chocolate. After one taste, you will believe. 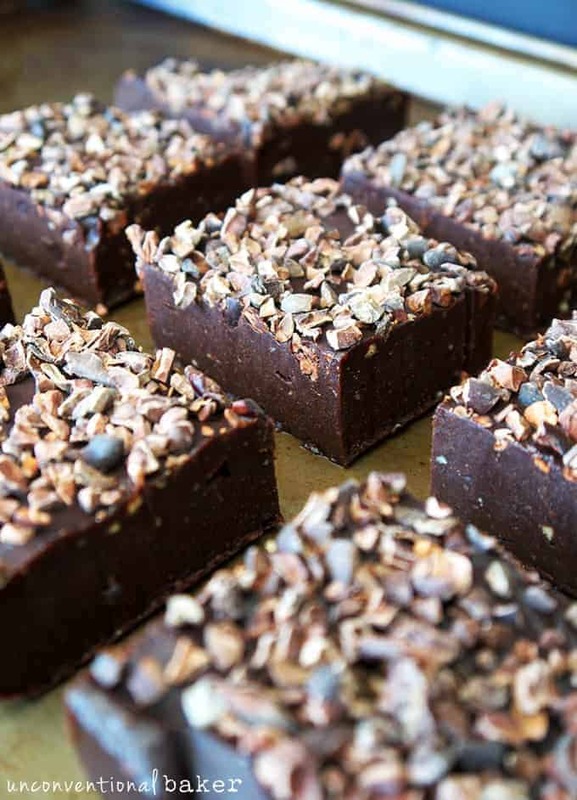 These ultra chocolatey brownies are sugar free, gluten free and offer the delicious taste of coconut and almond flour together in the same treat. The entire family will love these brownies, combining these two unique tastes. 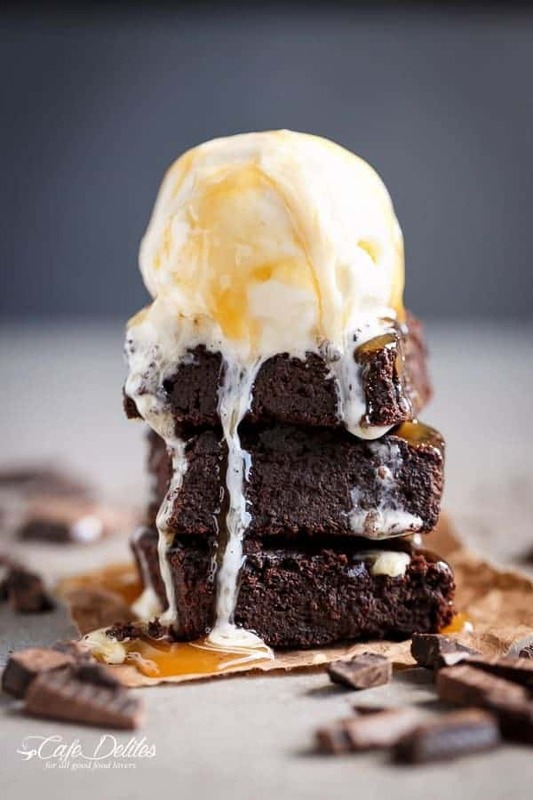 The eggs in this recipe are included to hold everything together and the butter is included to provide the delicious taste and consistency you would expect in a store bought brownie. Don’t worry —your kids won’t even notice the difference between the brownie you bought and the low-carb brownie you baked. A little more like a cake in texture, these are versatile and can be made into cupcakes as well. These double chocolate brownies are quick and easy to make, requiring just twenty minutes of baking time. The succulent blend of walnuts, almond flour and chocolate will doubtless cause you to think that you are eating gourmet pastries straight out of France. Your family and friends won’t even know that these low-carb chocolate brownies are low carb, so you can feel comfortable putting them on the table for those special holiday gatherings. The chewy texture makes these a brownie you need to keep in your recipe book. These tasty low carb blender muffins are not strictly brownies, but they certainly taste as good as a brownie. For a quick snack or breakfast, these treats will probably become your go-to. These brownies utilize the lesser seen method of blending the batter in a regular blender instead of with a blending machine. Pouring the dough from a blender is so much easier than using a bowl, you will wonder how you ever survived without using it. 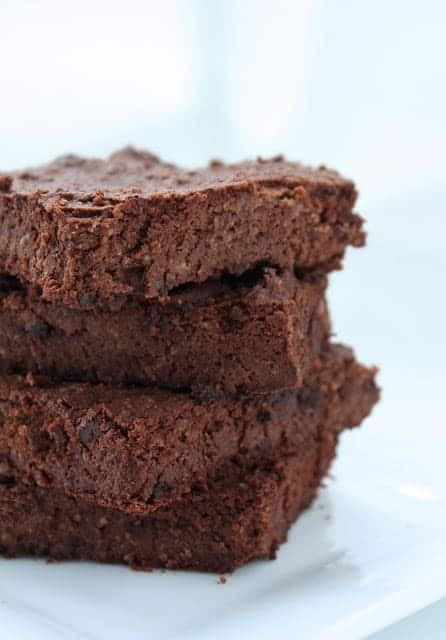 This recipe may have you wondering what else you can blend…The rich assortment of ingredients in these low-carb brownies makes them a winner with the entire family and will have any outsiders you deign to share them with screaming for more. Don’t let the fact that these brownies contain cauliflower scare you off. 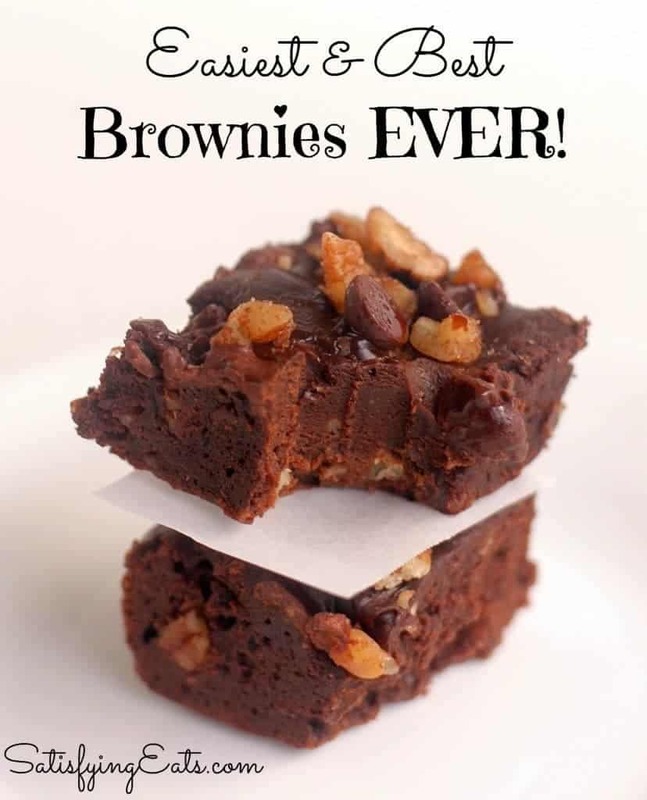 These are some of the best brownies you could ever wish for! The chocolate effectively covers the cauliflower taste while still allowing the cauliflower to add its unique, smooth consistency to the treats. Trust me, your family won’t even know that these contain cauliflower unless you tell them. A perfect way to sneak those veggies into your families diet! Don’t be squeamish about trying these cauliflower brownies—take the plunge! Believe me, you will never look back. 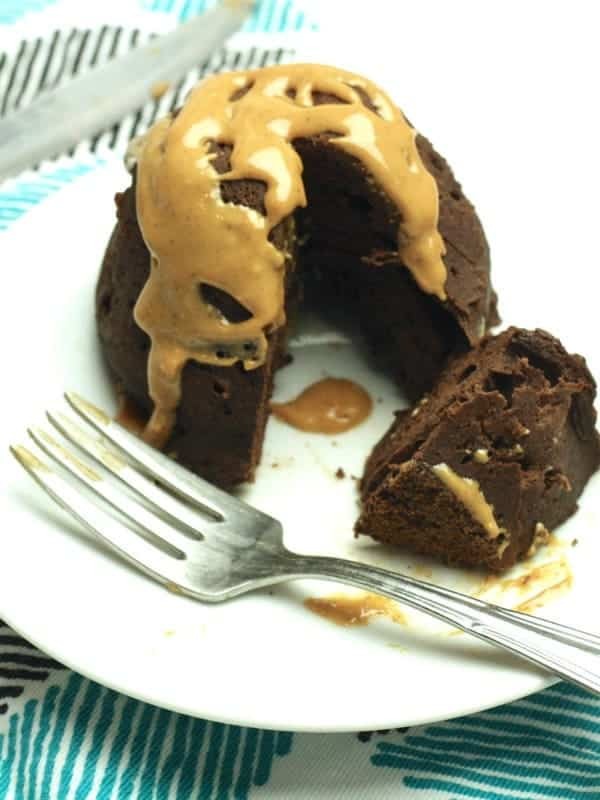 This delicious low-carb brownie in a bowl is rich and smooth, compliments of the pumpkin included in the list of ingredients. This brownie definitely works as a breakfast meal (hurray!). Just add a little protein and you’ll be ready to get to work in short order. All you’ll need to do to make the brownies is whip the few ingredients together, put them in a mug, and microwave them for about 50 seconds. 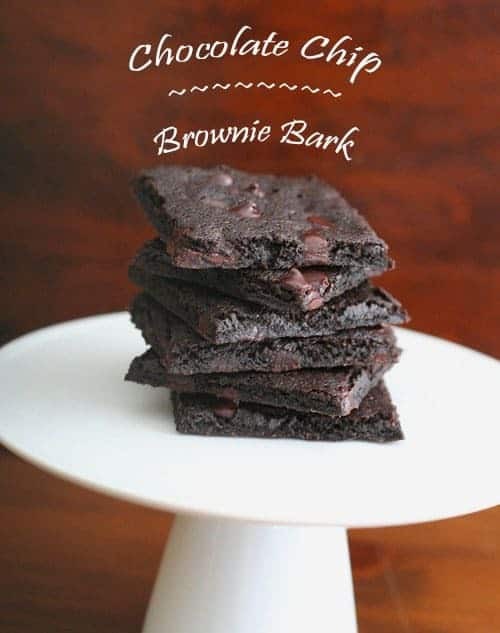 You could even take this portable brownie in the car if you are pressed for time and not have to worry about crumbs getting all over the place. Try this tasty recipe the next time you want a quick, easy, tasty treat on the go. This delicious desert doesn’t have that many ingredients, which makes it easy to make for those occasions where you want to make a memorable dessert but don’t have much time. 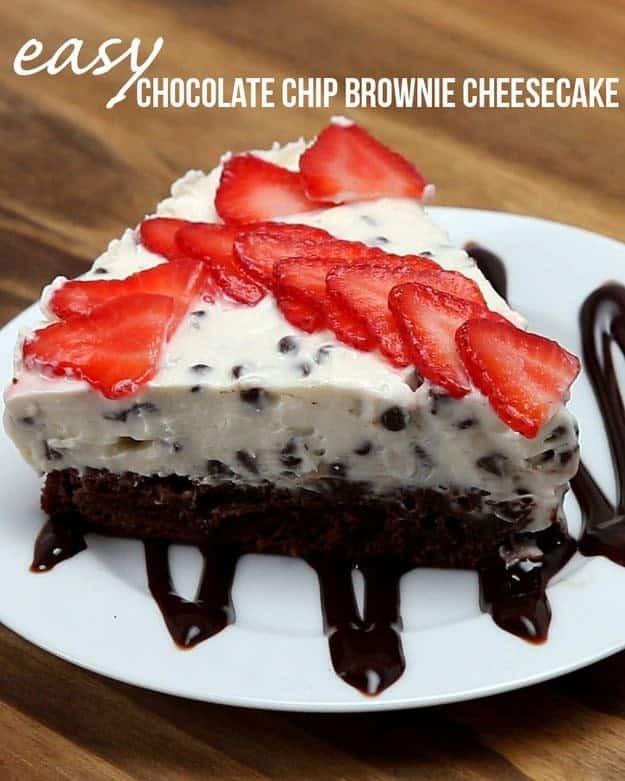 You’ll simply mix up the brownie mix, cook the low-carb chocolate brownies, mix up the cheesecake topping and add it once the cooking process is complete. This is a quick and easy snack that is great for your health; try making it today! They may all be eaten by tomorrow! These low-carb chocolate brownies will become the things of your dreams the night after you consume them. 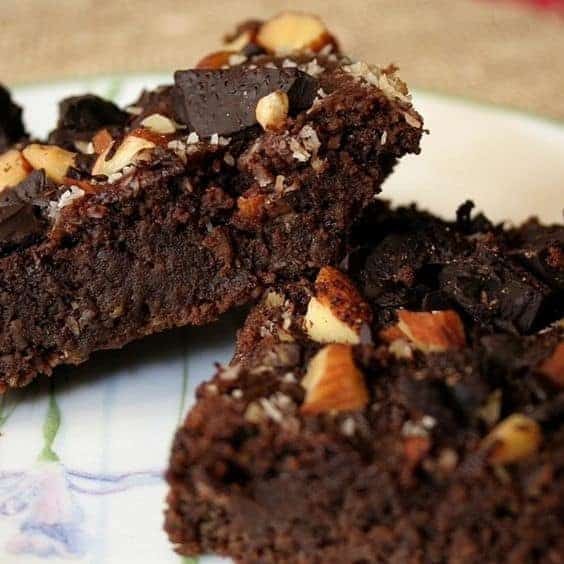 If you are a fan of nuts blended with smooth, rich chocolate, these are definitely the brownies for you. But be warned! These treats are surprisingly addictive. You may find yourself having to bake these on a regular basis to keep up with the cravings of you and your family. These brownies are pretty quick to make, as brownies go, taking just 25 minutes to cook. Since they are low carb, don’t feel bad when you need to make another batch so soon- you are sticking to your diet plan! These fudgy brownies are so good, it is said that they will put a smile on your face as you are eating them, out of sheer bliss. 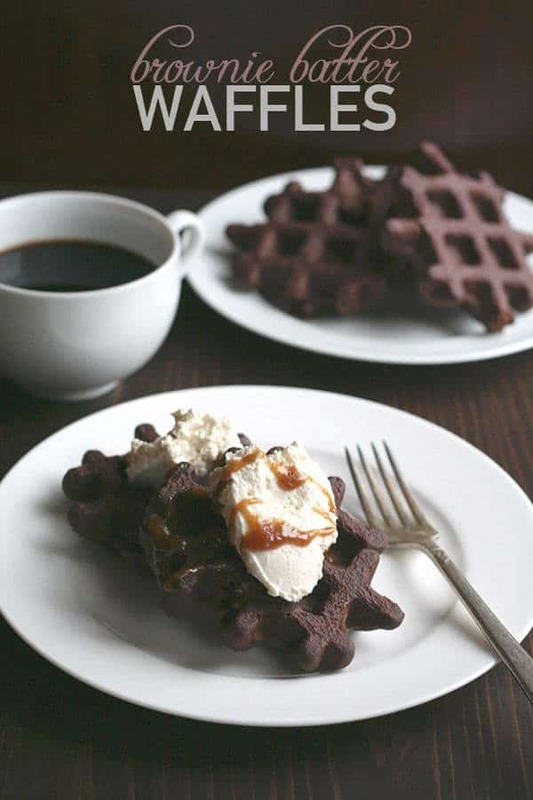 They use both dark chocolate and dark cocoa powder to create a richer, smoother taste and texture. In addition, they’re super simple to make, making them perfect for those busy moms who don’t have time to learn new, lengthy recipes (your kids will thank you!). You won’t be able to stop eating these once you’ve gotten started! 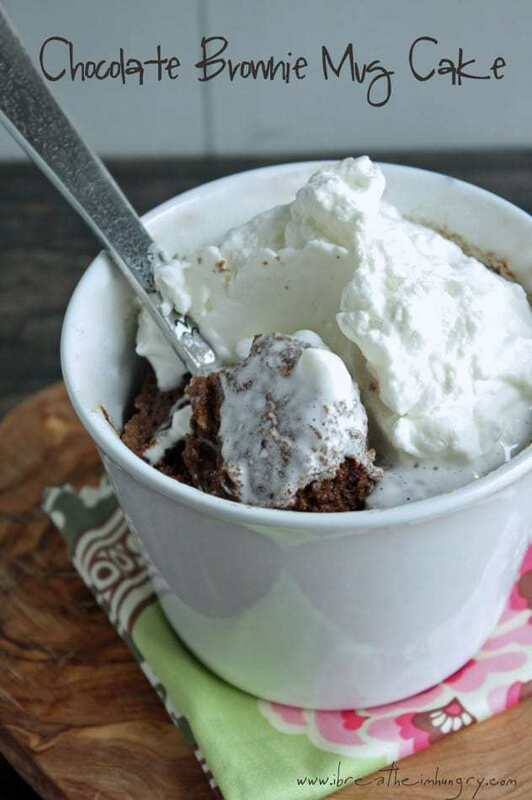 Here is another great low-carb brownie in a mug recipes, sure to delight your voracious children and neighbors alike. Or just you, if you feel like indulging yourself while you’re transporting the kids to and from school and other activities. This delicious brownie takes less than five minutes from start to finish and is the perfect chocolate craving killer. Topping the brownie with yogurt makes an extra tasty addition to this wholesome treat. In addition to being an all-around great snack, this low-carb brownie is especially good for satisfying sugar cravings during pregnancy. These cute, bite sized energy snacks are delicious and fun to eat. If you are the type of person who like quick, easy to eat energy boosts, you really should take the time to check these energy bites out. They aren’t that hard to make and store for a good amount of time. 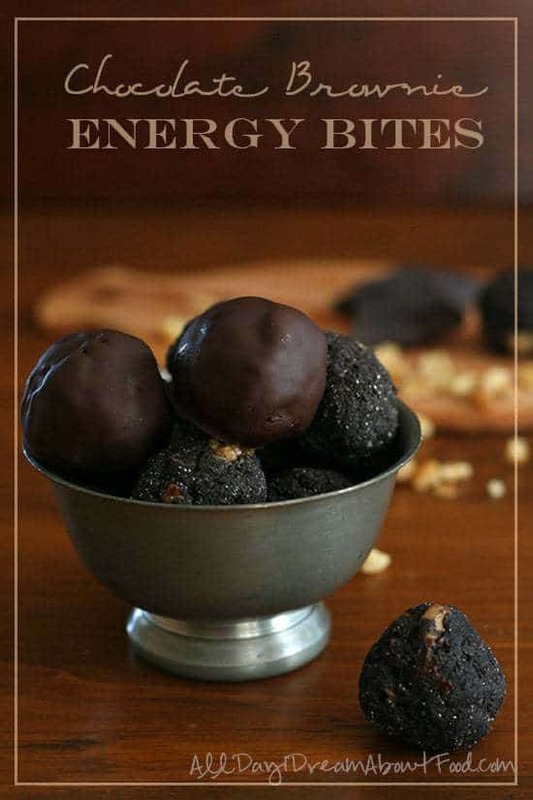 It’s not common to find chocolate energy bites that can stay together without something sticky like dates or sugar, but these things use pasteurized eggs and coconut oil as low carb alternatives. Not quite a brownie but if you close your eyes and take a bite, you can definitely see the brownie resemblance. These delicious snacks are definitely for those on the obsessive side of the consumption spectrum. Although they are on the more complicated side of the equation when it comes to brownies, the end product is totally worth it. This recipe makes twelve tasty cupcakes, enough to last the whole family three days. If you want a quick snack that will appeal to your taste buds and won’t increase your jean size, these cupcakes are the way to go. Sweet, sweet caramel is such a great treat when on a low carb diet! These low-carb chocolate brownies should be your go-to staple for holiday treats. They have less than four grams of carbs and 170 calories per serving, so they are the perfect dessert. And they won’t even leave you feeling guilty after you eat them. Your friends and family will thank you for such a delicious and healthy treat! 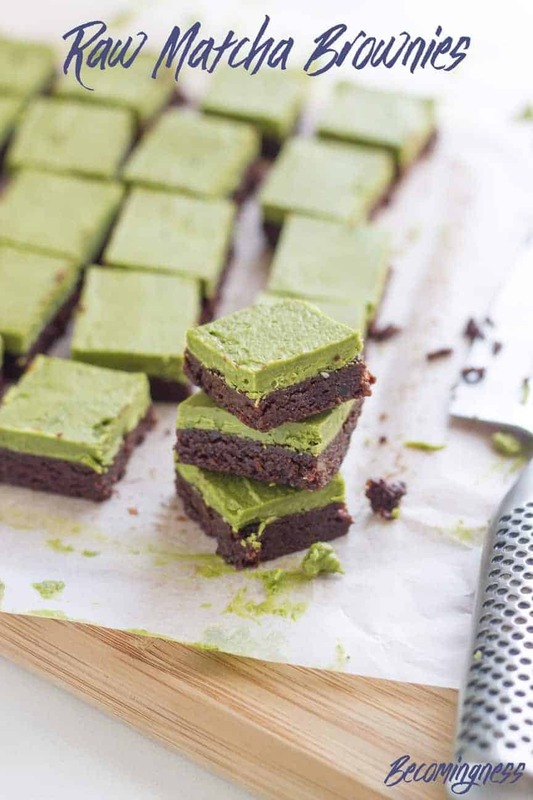 The presence of avocado in these brownies may sound strange, but it adds a richness and smoothness that you won’t be able to recreate any other way. Besides, you can’t even taste it! 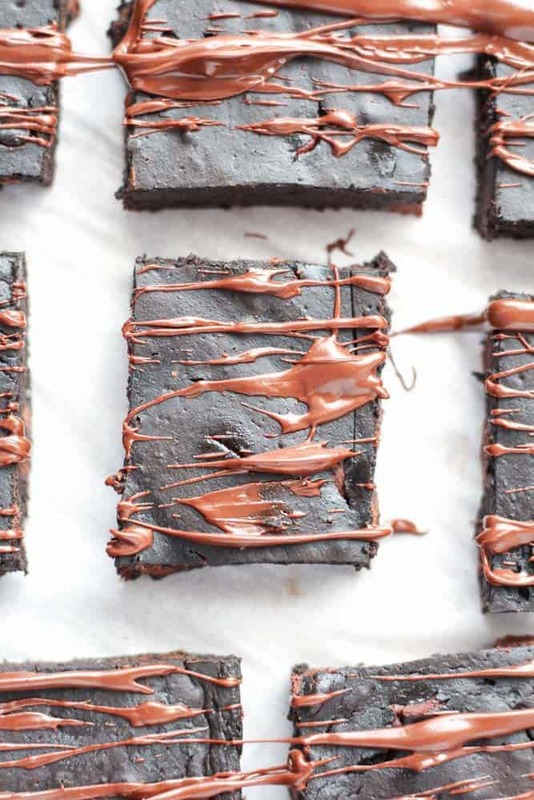 These highly addictive brownies are totally fudgy, chocolately and healthy for your body. These delicious treats do take longer than the average brownie, but the goey, delectable result is more than worth the wait. The cocoa nibs included in this recipe will add a unique taste not common in brownies and will be a taste you come to crave. You won’t be sorry you decided to cook these. These little snacks are super healthy and won’t add a bit of unwanted weight to your figure. The Matcha topping on them adds a delicious, yet healthy alternative to carb laden sugary icings. There numerous health benefits that come with the consumption of matcha, including a sense of relaxation and alertness. So if you need something to help you wind down at the end of a long day, just try a couple of these brownies. New and exciting and, most importantly, low carb! Looking for a delicious, tasty and healthy alternative to conventional protein and energy bars? You have found the answer: the chocolate silk brownie bar. This wonderful sticky, gooey treat is a chocolate mousse with a delicious peppermint flavor sandwiched between a fudge brownie and a thick layer of chocolate. 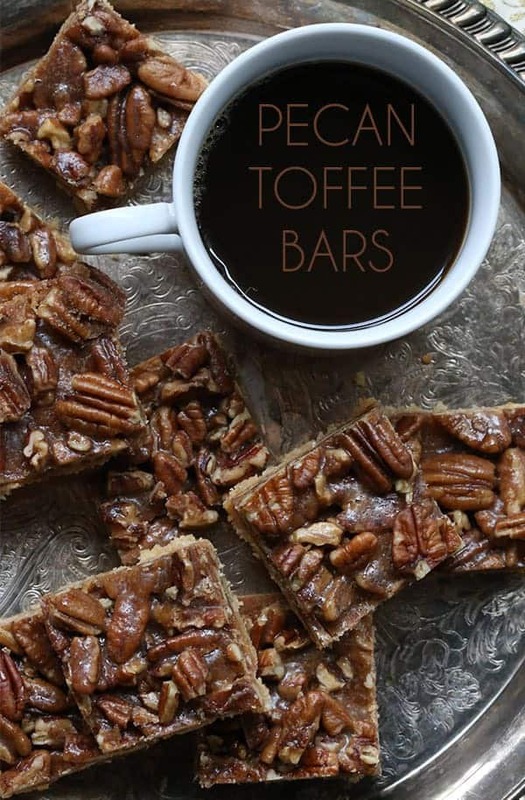 You won’t be able to stop eating these, and the good news is that they are so healthy you will never need to feel guilty about indulging yourself. These delectable treats are composed with a heart healthy wheat flour alternative—coconut flour. You may be worried that coconut flour is an option that is out of your budget, but never fear. Coconut flour goes a long way in a recipe, so even if you need to spend a little bit more up front, you will find that the coconut flour will last for a very long time. You can always give almond flour a short when in doubt. In addition to being super good for you, these brownies are surprisingly simple to make and will satisfy even the sweetest tooth in your home. Here’s another delicious recipe that harnesses the heavenly properties of coconut. The pecans sprinkled on top, along with the layer of shredded coconut, add a satisfying crunch to these brownies. Ghee and coconut oil are used to add a smooth buttery element to these treats, as well as add additional fat. One of the good points about these chocolate coconut brownies is that they freeze perfectly and will last about a week in the fridge. Always make sure to make a big batch! This delicious dessert is a lot like a brittle. They are thin and crisp and refreshingly tasty. 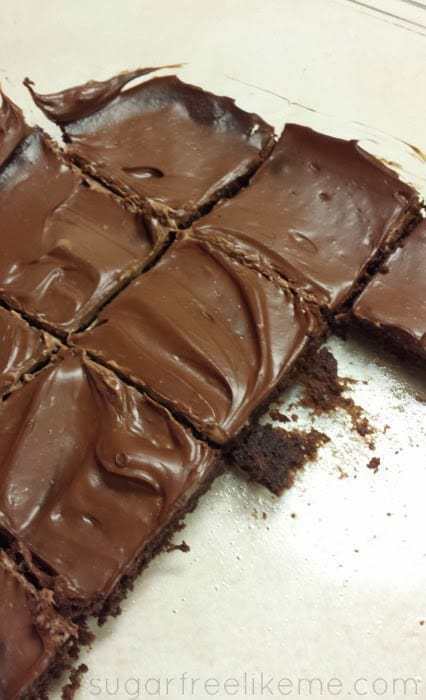 The recipe is a little more complicated than the average brownie, but they are so good that you won’t be sorry you invested the time in them. Each serving has just four carbs, so these brownies are super good for you. You might want to make a double batch, so that you’ll have enough to share! Everybody knows that the goal and purpose of a low carb diet is not to replace bad eating habits with better ingredients, but rather eating food that is really healthy and good for you, with minimal levels of sugar. But during your journey to a healthy lifestyle, you will have days where you just need a brownie. Period. It’s popular belief that low carb brownies taste nasty and involve extensive amounts of preparation. 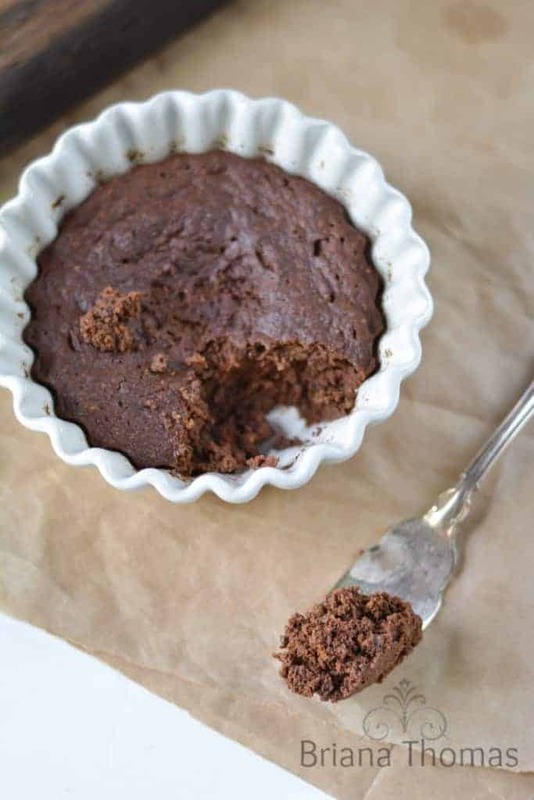 The low-carb brownie recipe below is a very tasty low carb option. It’s also pretty easy to make and only takes 20 minutes to cook. Have a bag of these on hand in your house at all times for when those brownie cravings hit! If you are looking for a large, single serving brownie to cheer you up at the end of a long day, you’ll be glad that you found this baby. As a bonus, it’s a snap to make. Simply mix up the few ingredients in a mug, pour it out onto a small pan and bake for two minutes in the microwave. Making a brownie that sticks to your diet plan couldn’t be simpler. 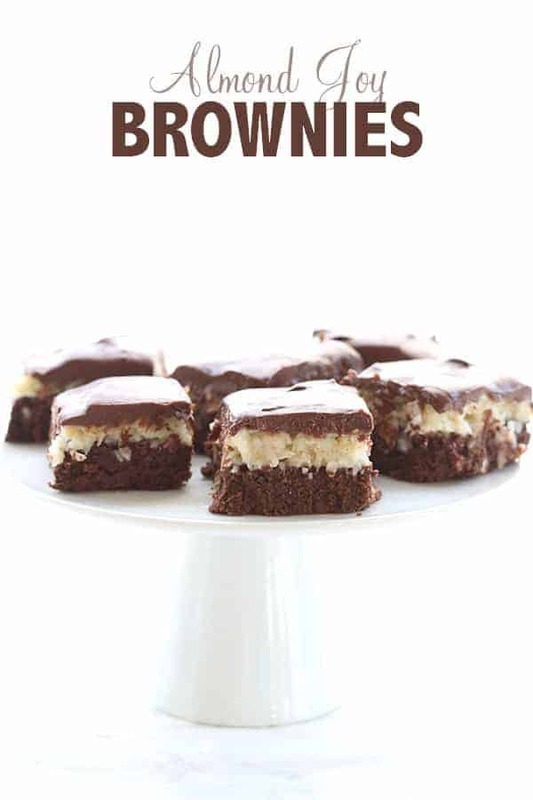 These treats add a unique twist to the brownie concept. They’re delicious enough for a dessert, yet healthy enough to have for breakfast. Just think, you can have the kids actually looking forward to breakfast before going to school and eating something healthy! You will not be sorry you invested time in these snacks. Once you have made these brownies, you will have created a miracle—a brownie that is both nutritious and delicious at the same time. Eating these delicious brownies will not mess up your glycemic index nor cause you to gain weight. As a note, if you prefer a more bittersweet brownie, you should reduce the amount of sweetener used. Additionally, these miracle brownies taste best after you have let them sit in the fridge for a day. It may be hard to wait but it will be worth it! This snappy, tasty mug cake is both beneficial to your health and so easy and fast to make. Preparation time is estimated at one minute and cook time in the microwave is just two minutes. This mug cake is perfect to make when you feel hungry cravings in the middle of the night but don’t want to load your stomach with calories and carbs. 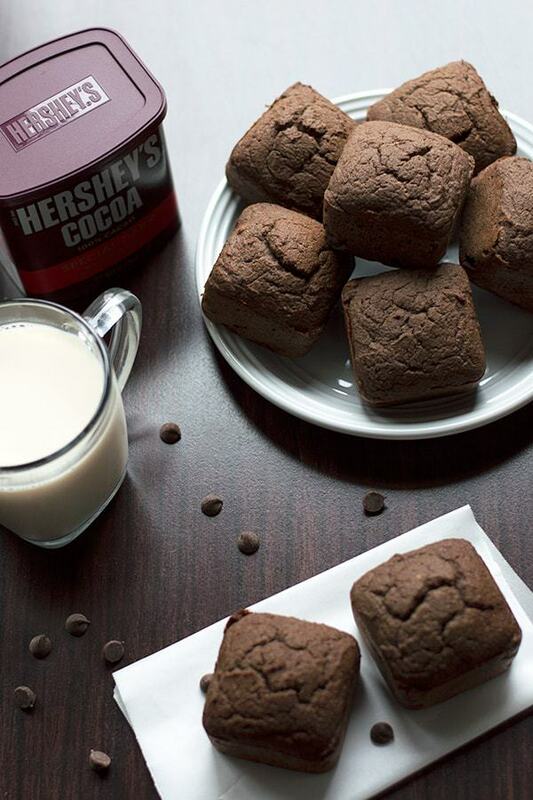 Brownie muffins are undoubtedly some of the best treats on the planet. These muffins, low in carbs and high in fiber, will keep you full and satisfied from breakfast right up to lunch time. 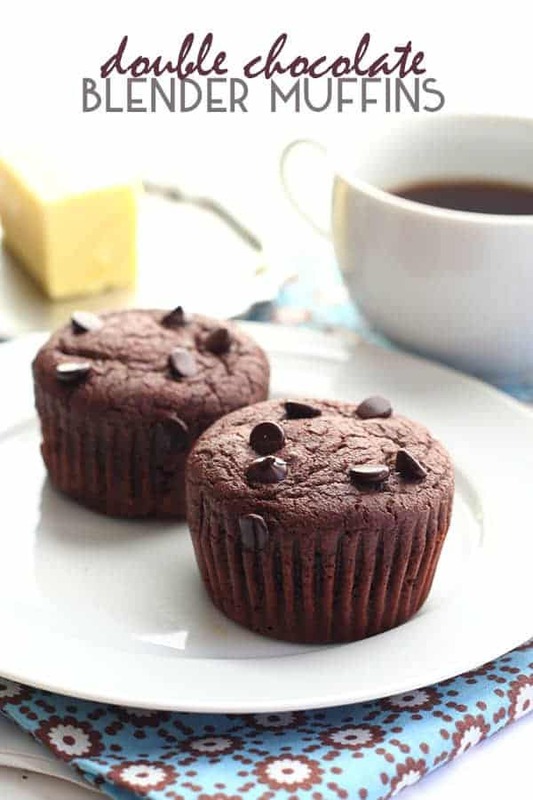 These muffins don’t dry out if they are left out for a couple hours, unlike many brownie muffins, so definitely give these a try when you want something chocolatey to tide you over until lunch (or maybe these can be your lunch…). These are so good that once you’ve tried them, you will kick yourself for not having made them sooner. Don’t be alarmed that there is avocado in the recipe. You can’t even taste it. The avocado is there to simply enhance the texture and consistency and as a bonus it adds some great nutrition! 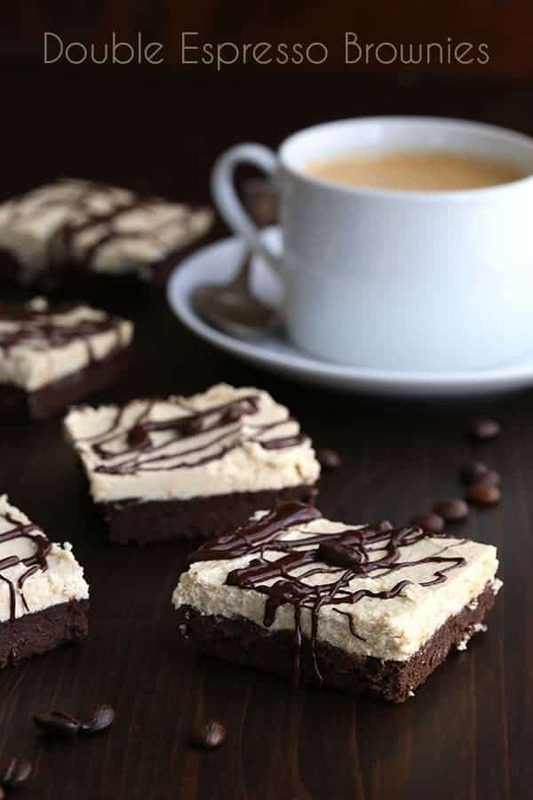 For a different taste, you can add coffee extract to these brownies. The total time from when you start mixing ingredients to eating the final product is estimated at just 23 minutes. These oh-so-tasty cupcakes are dairy free, making them perfect for those with allergies in the family. You’ll find that these taste just like the cupcakes you had as a child—of course, without the guilt that you felt from eating something so high in sugar. These goodies are very nearly identical to what you would find in the stores, so you can also feel good about sharing them with your friends or extended family and they will be happy to get them! These brownies are some of the best. If you decided to serve them to guests, they will never even be aware that they don’t have a grain of sugar in them so shh, don’t tell! In addition, they are made without wheat flour or any other conventional flour. They are totally healthy, composed of a combination of almond and coconut flour. So get ready to serve these up and impress your guests! You won’t believe how good pumpkin can taste in a brownie. Consisting of only five ingredients, you can be eating these things in under 40 minutes. 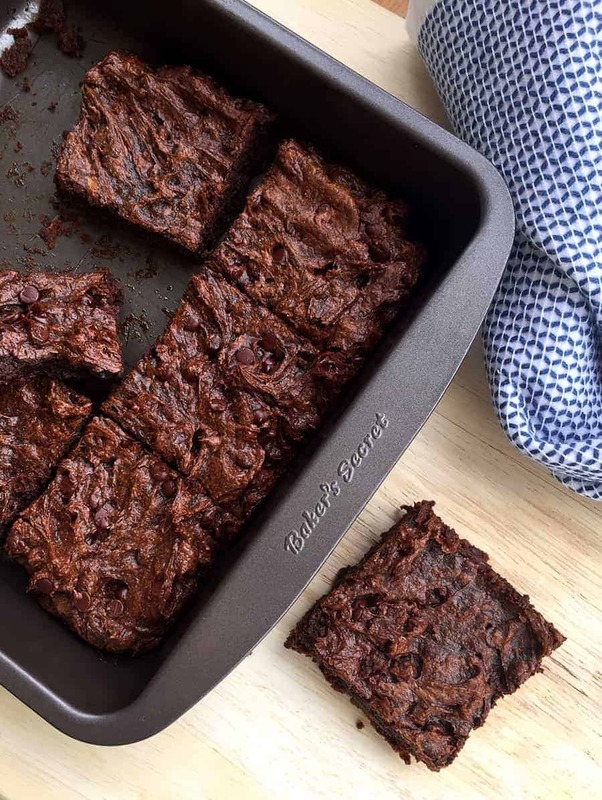 There is no butter and no oil in the recipe, making these brownies especially good for those times you want to splurge without ripping up your gut. Pumpkin is also nutritious so you’ll feel extra good eating these! 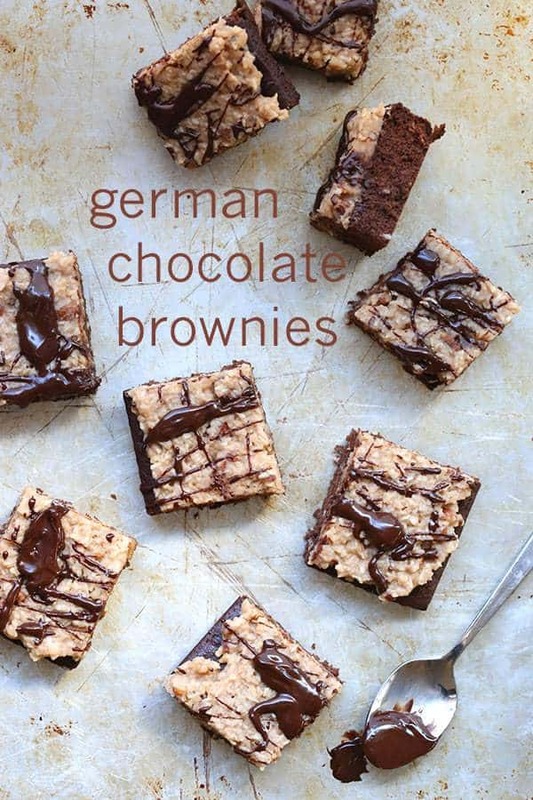 These aren’t technically brownies, but they are certainly as good as them. If you’ve never made toffee before, there may be a small learning curve, but this is nothing to worry about. You’ll get the hang of it in no time and be cranking out these addictive energy bars like a machine. A master low carb chef is what they will call you! 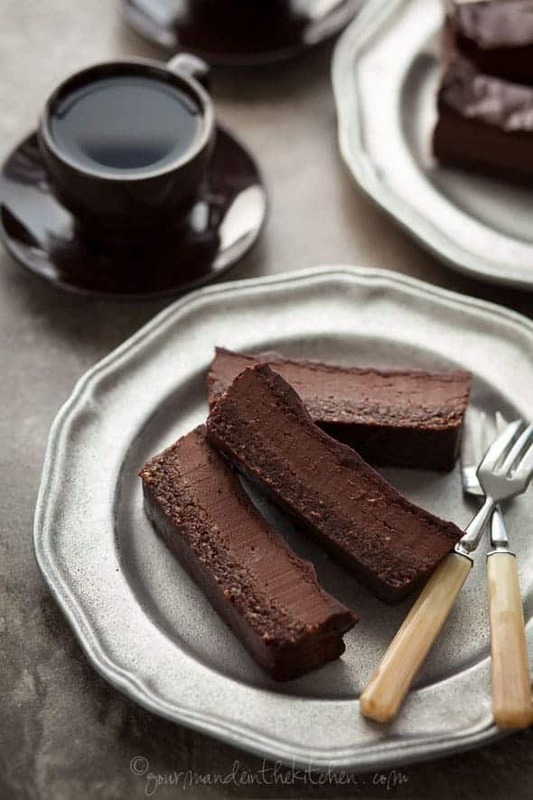 This is a delicious chocolate fudgey treat that’s perfect for eating on those days when you are kept in the house. 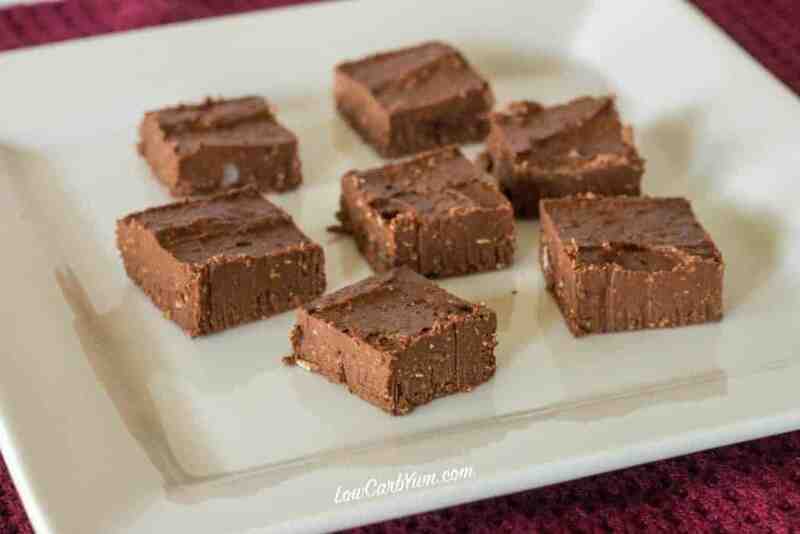 As an added bonus, this recipe does not require any dairy products, so if you or someone in your family has allergies to butter or milk, they’ll still be able to enjoy this fudge. Of course, it is also low carb which is perfect for you! This melt in your mouth treat is primarily composed of almond flour and has the best consistency after it has been in the fridge for about an hour. Chopped walnuts are added on top to add texture, but you could add whatever type of nut you wanted and still get a good result. Give almonds or even cashews a try! Try making these—you’re virtually guaranteed to ascend to Cloud Nine. You will never believe that each one of these brownies has only 37 calories. You can pig out on these all night without feeling the slightest bit of guilt. They also have a quick cooking time, so you don’t have to worry about scheduling in a lengthy preparation and baking time. 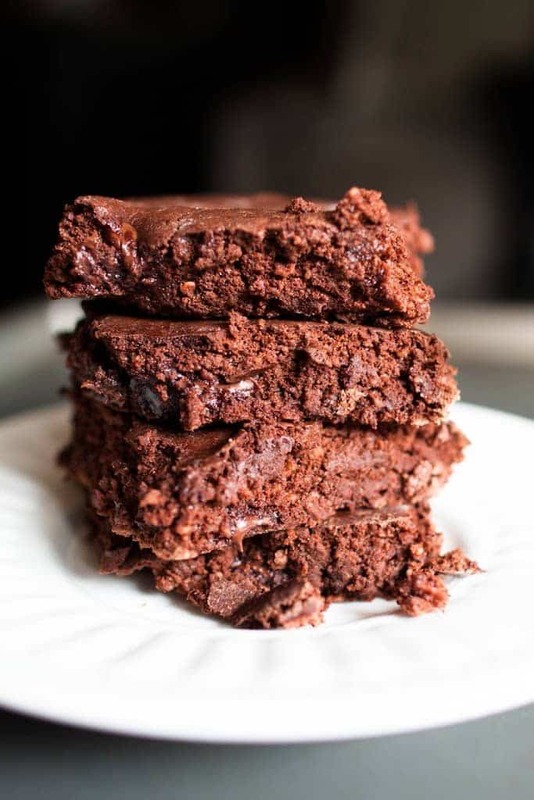 If you decide to add the optional chocolate chips to the batter, you’ll up the caloric intake to a still modest 65 calories per brownie which is well worth the extra flavor. Low carb and gluten free—what more could you ask for in a desert? This terribly clever recipe idea is sure to intrigue family and friends alike. 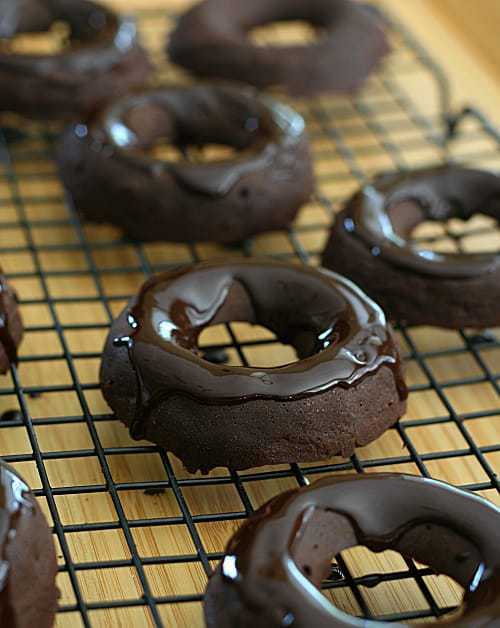 After all, who’s heard of a donut made out of brownie batter? Each serving comes with about seven grams of carbs, ensuring that you’ll stay healthy while you indulge yourself. Sounds like a good breakfast idea too! If you have been trying to keep your weight in check and have been discouraged that there aren’t that many tasty low carb desserts available, you are in for a surprise. 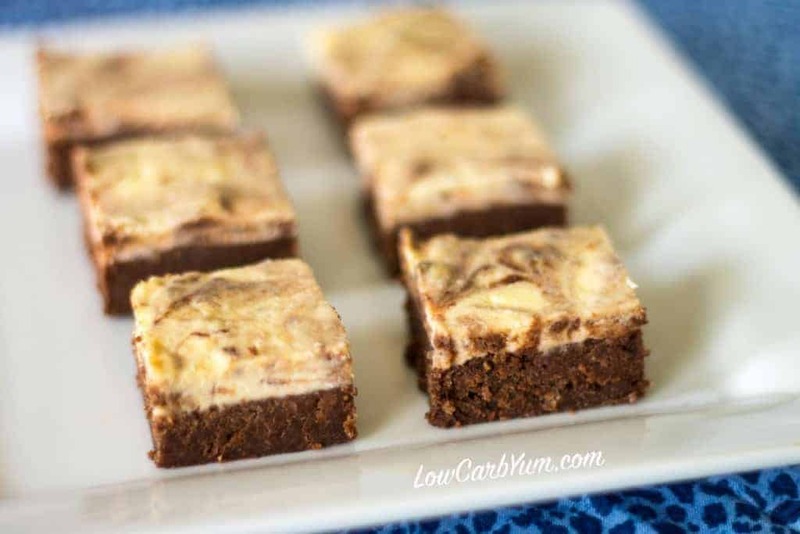 These brownies are a delicious, low carb treat designed with you in mind. Just what you’ve been looking for! Check them out—your taste buds and your family will appreciate it! These delicious, circular cut brownies are the perfect thing to have at the end of a long day. Gooey and rich, you’ll hardly be aware that they are so low in carbs that they’re actually good for you. They don’t take that long to cook either, so you can easily throw them in the oven and be eating fresh brownies in no time! 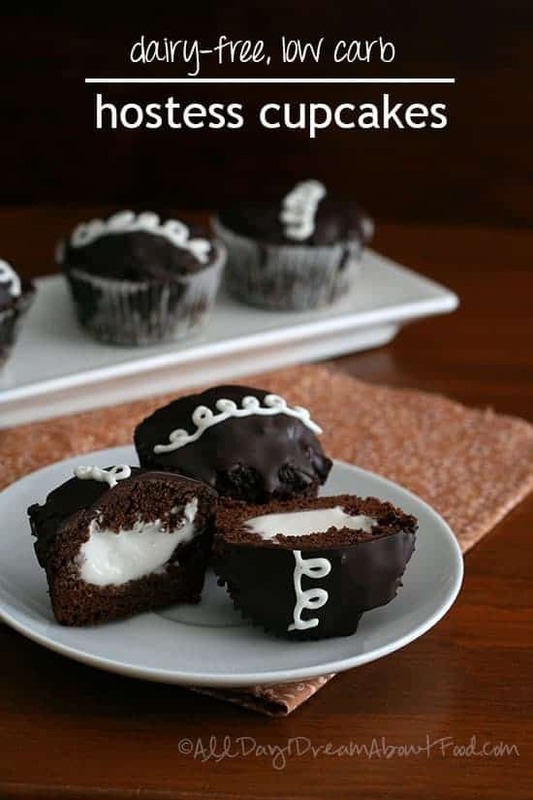 These tasty little babies use Almond Joy to add a well known taste to a delicious, healthy treat. Each serving has just 3 carbs, so you’ll finally realize that eating healthy has never been easier. Those whom you share this snack with will recognize the familiar taste and probably beg for multiple servings. A low carb, candy bar brownie is more than anyone could dream of! These low-carb brownies are the perfect way to support your health while still allowing yourself to enjoy a tasty dessert. Don’t listen to those who tell you that trying to make carb-free brownies is only a waste of time that will end up badly. All the recipes here are a testament against that lie. You deserve to be commended for your commitment to support your health. Eating low-carb foods that don’t make you feel guilty will go a long way in helping you to achieve your personal health goals. Try making any or all of the low-carb brownies here and see how far they will take you. Good luck on your journey to better health! A low carb beginning is the right way to go.